Muscat expanded on his outlook by saying that blockchain technology has the likely characteristics to provide patients with real ownership of their medical records and verify that humanitarian assistance is reaching its intended destination. 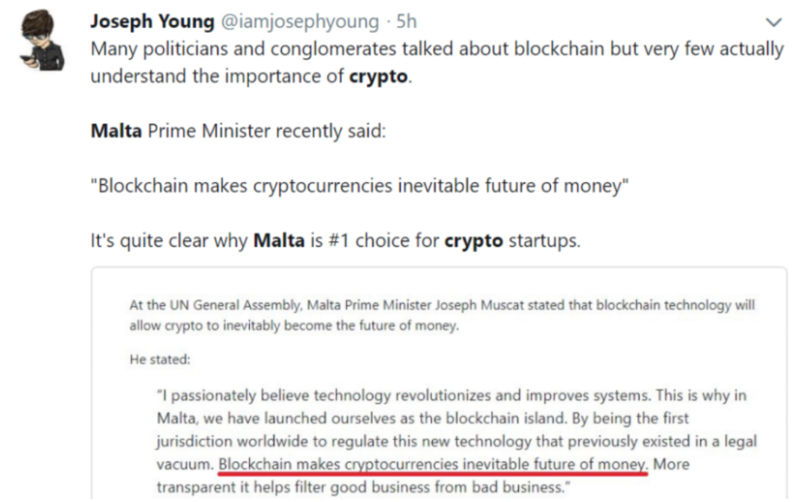 In another recent tweet, Young criticized the United States’s approach to cryptocurrency and said that it would lose out on crypto related business to a number of crypto friendly countries including Malta. 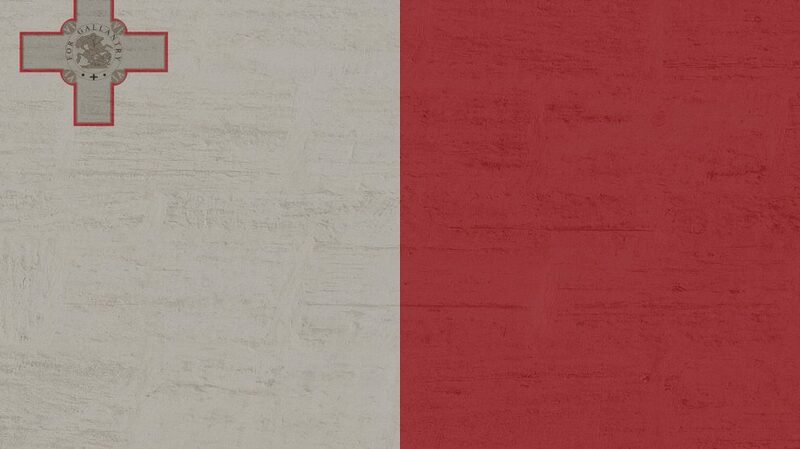 In June, Maltese Member of Parliament Silvio Schembri announced that the Maltese Parliament had passed three bills relevant to cryptocurrencies and distributed ledger technology (DLT). The bills are titled The Innovative Technology Arrangements and Services Act, The Virtual Financial Assets Act and The Malta Digital Innovation Authority Act. They involve the creation of Malta’s Digital Innovation Authority – which will oversee the development of blockchain on the Island, the regulation of Initial Coin Offerings (ICO) and the regulatory powers of the Digital Innovation Authority. Within that same timeframe, Malta’s Stock Exchange (MSX) established the MSX Fintech Accelerator with the objective of creating an environment to support blockchain entrepreneurs and their businesses. In September, the world’s largest crypto exchange by volume – Binance – announced that it had signed a Memorandum of Understanding (MoU) with the MXE to launch a new digital exchange based upon security token trading. This came about after Binance had decided to set up operations in the Mediterranean State. Furthermore, the company took a 5% stake in a Maltese Bank with the intention of developing it into the World’s first decentralized bank. There’s no doubt that Malta is making a strategic play to be at the forefront of jurisdictions providing a more progressive regulatory framework with regard to blockchain in order to nurture the growth of the technology within the island nation.